The British government knew that Germany would target London in their bombing raids. If the capital was put out of action, it would severely affect the war effort and have a devastating impact on the nation’s morale. The Blitz on London from September 1940 to May 1941 and the V1 flying bomb and V2 rocket attacks in 1944 caused a massive amount of damage. It is estimated that more than 12,000 metric tons of bombs were dropped on London and nearly 30,000 civilians were killed by enemy action. The worst hit places tended to be the poorer districts, like the East End, but all Londoners were affected by German air raids to a varying degree. 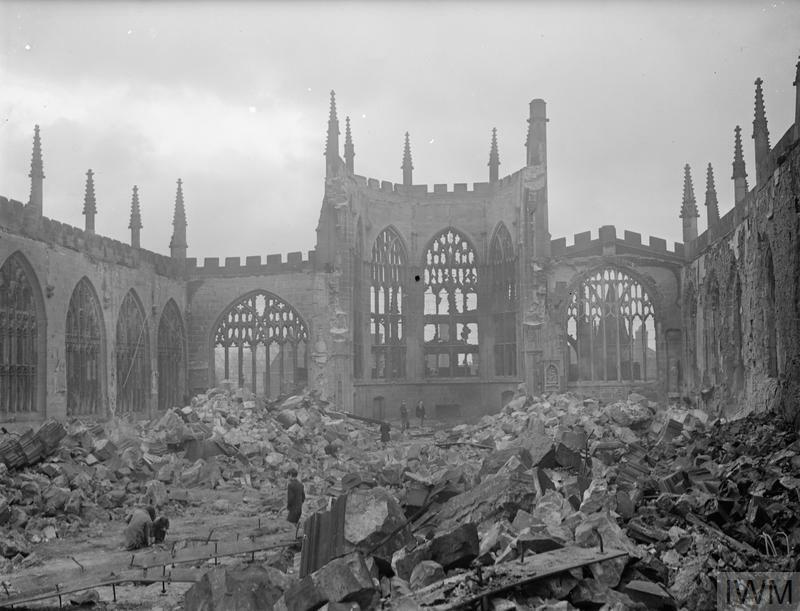 The Blitz changed the landscape of the city. Many famous landmarks were hit, including Buckingham Palace, the Houses of Parliament, the Tower of London and the Imperial War Museum. Some areas, such as Stepney, were so badly damaged that they had to be almost entirely rebuilt after the war. People sheltering on the platform of Elephant and Castle Underground station during an air raid, November 1940. 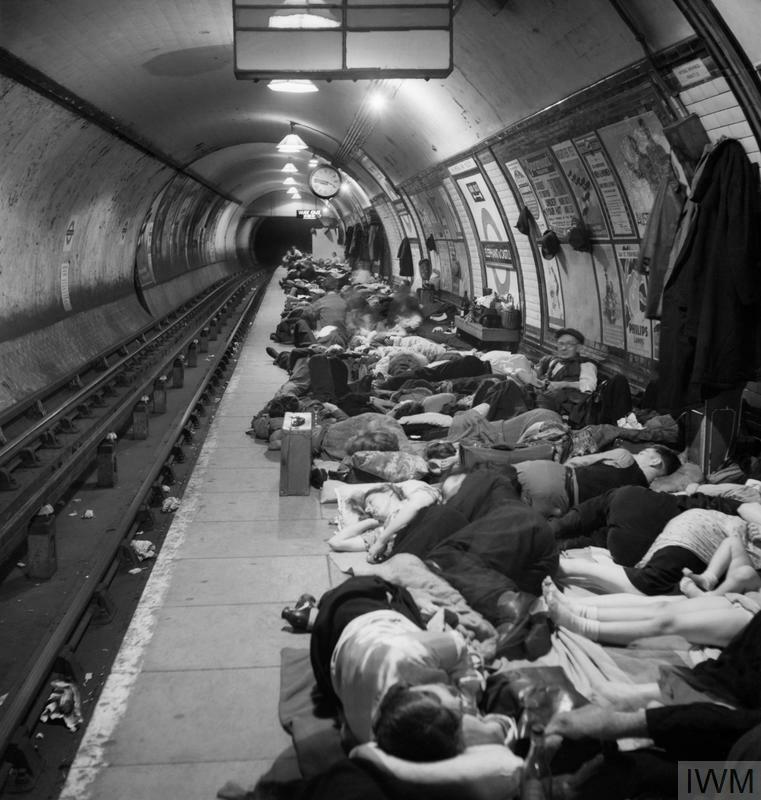 The government initially tried to prevent London Underground stations being used as air raid shelters, fearing the development of a 'deep shelter mentality' and the potential disruption of the capital's transport network. However, Londoners persisted in using the Tube and eventually the government had to reconsider. Aldwych station was closed and converted into a permanent shelter. Improvements such as bunks, better lighting, washing and toilet facilities were made at other stations. With the arrival of large numbers of Commonwealth and overseas service personnel, London became more cosmopolitan. After 1942, by far the overwhelming presence was that of American servicemen. It was also a busy transport hub and a popular destination for troops on leave. London was the focus for VE and VJ Day celebrations at the end of the war. Thousands of people waited to see the Royal Family on the balcony of Buckingham Palace and for Prime Minister Winston Churchill to appear at Whitehall. 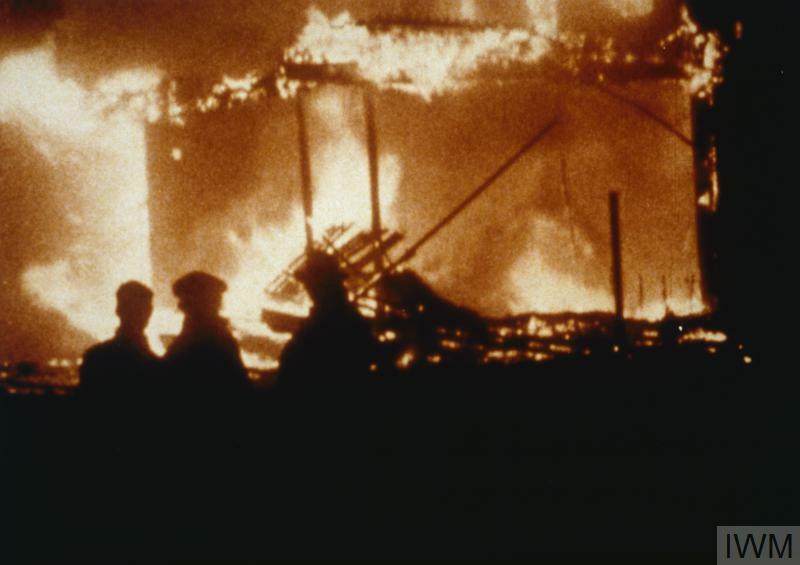 On VE Day, St Paul’s Cathedral and the National Gallery were floodlit, and there were bonfires in the city’s parks. On 7 May 1945 the formal act of military surrender was signed by Germany, ending the war in Europe. 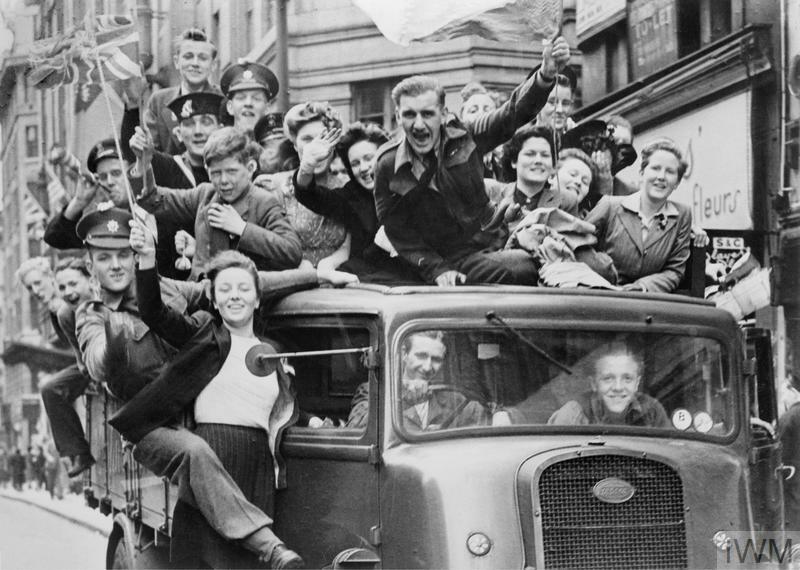 The next day celebrations broke out all over the world to mark Victory in Europe or VE Day. In Britain, Churchill marked the occasion by declaring 8 May a public holiday.